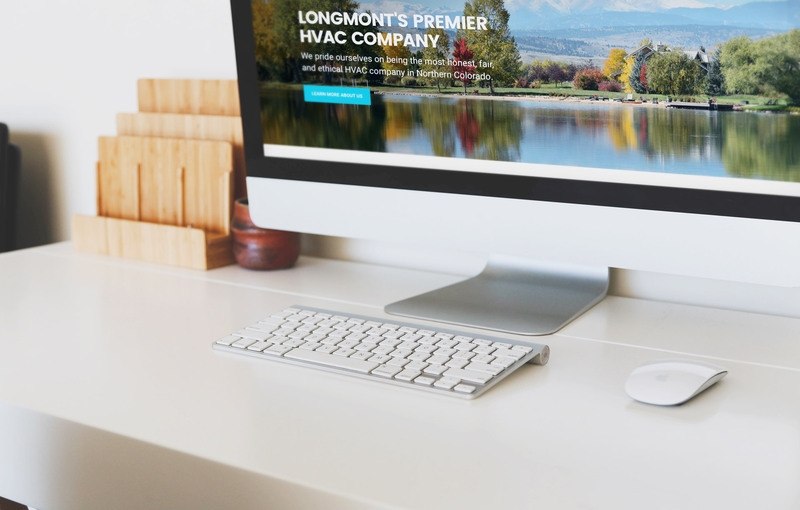 Circulating Air is a trusted, reliable, family-owned HVAC business located in Longmont, Colorado. 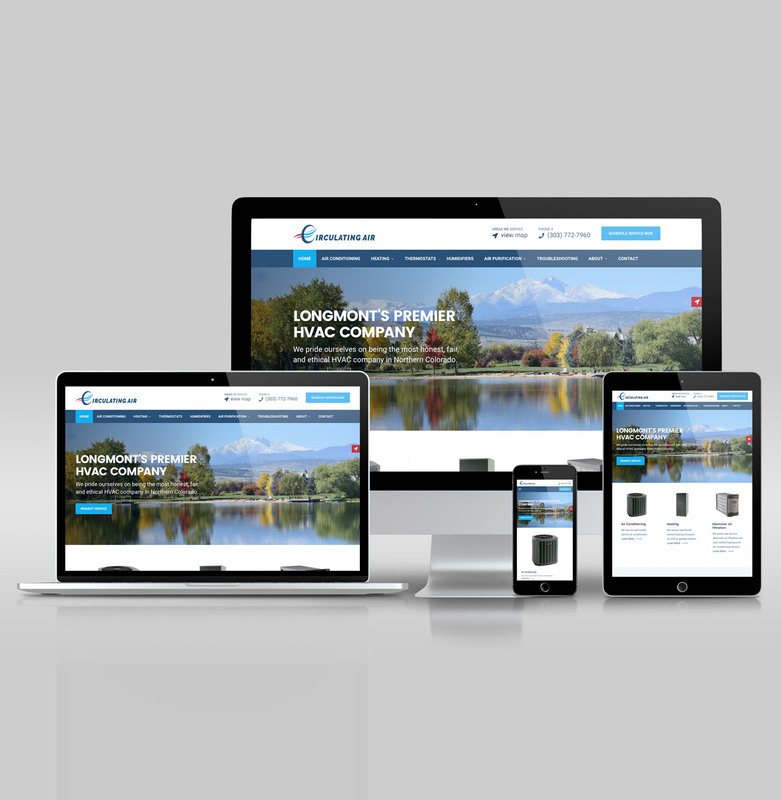 They have been serving Northern Colorado for almost 25 years and were excellent clients to work with. 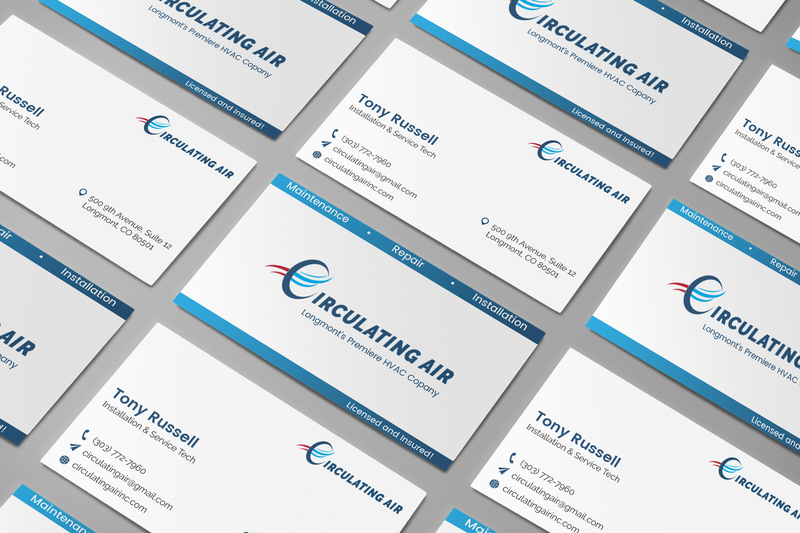 We were proud to work with Circulating Air on a new brand identity, logo design, and website. 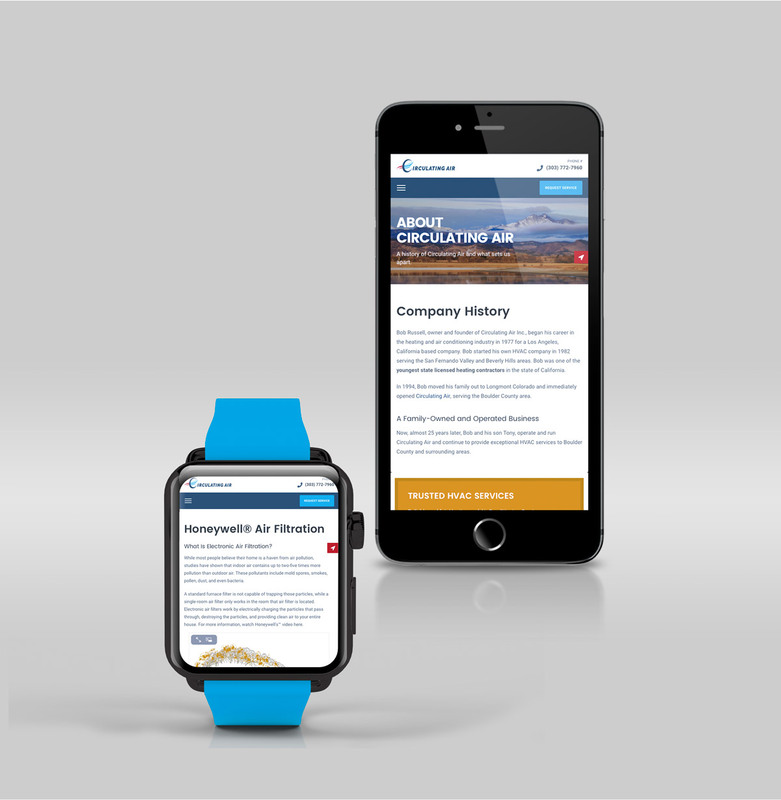 The main goals for this project were to design a logo, brand identity, and a visual style that could be utilized across brand collateral, graphics, and the new website. Step 2: Giving students more of what they want need. While real estate is a text-heavy subject, VanEd's courses needed to keep students engaged with less of a reliance on paragraph after paragraph of text. In an online course of paragraph after paragraph of text, students were very quickly becoming bored and disengaged with the content. After making this discovery, it was time to act. Adding different types of infographics and front-end elements, utilizing videos, interactive learning features, and providing more exercises, quizzes, and case studies allowed for students to feel more enthused about the material and really enjoy taking VanEd's courses. Creating an LMS that utilized a single learning method (e.g. e-learning games) was not the path VanEd wanted to take. From data that was compiled from student feedback, the team decided to work toward an LMS that offered e-learning methods that benefited all types of learning styles. With this in mind, new front-end content was created, including fill-in-the-blank exercises with images, scenarios in a "choose your own adventure" style, audio snippets, and various other mixed-media content. 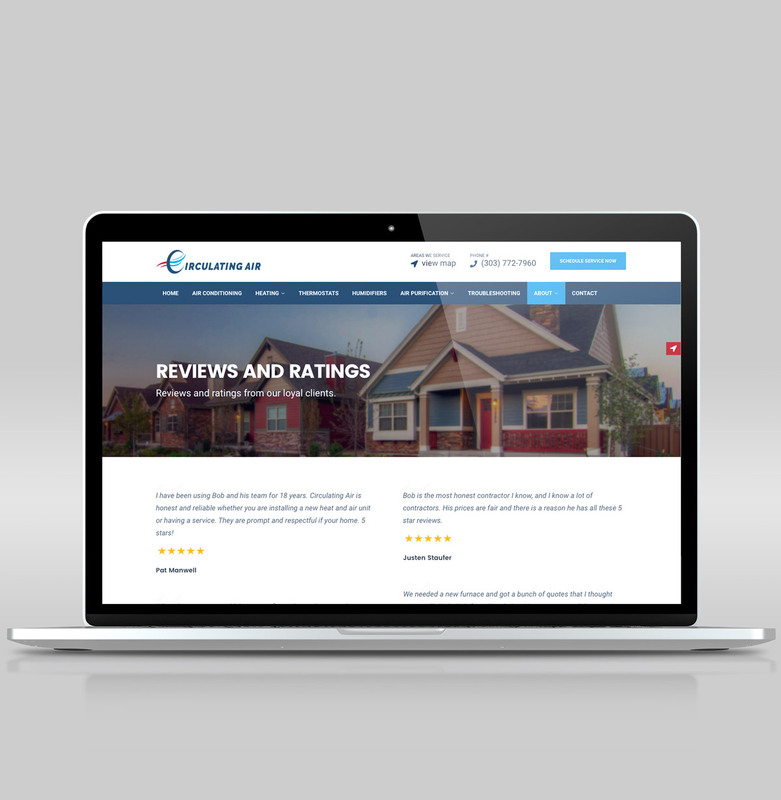 After the majority of the front-end content was created, the next step was to extend the ColdFusion custom tags library and to create a front-end development admin site, which would provide documentation and easy access to the myriad of newly created front-end elements. The goal was that this development admin site would allow course developers a quick way to add the necessary front-end elements to courses to speed up the development process. -Develop ColdFusion custom tags with multiple parameters to display Bootstrap and jQuery elements. -Organize these tags into meaningful and relevant categories. -Provide quick and easy-to-comprehend documentation on how to use these tags within the admin site. -Provide other front-end development tools such as image-map generators, live word count tools, and more.